1. The above SDC show requires submission of a NEGATIVE Coggins form with your entry form, this must be presented to the office before the horse may unload at the facility. 2. We have confirmed with the owner of Willow Ridge Stables that all horses on the property will have their coggins test and that all horses onto the property before our show for events will also have this requirement. This would designate Willow Ridge stables as a Saskatchewan Horse Federation “A” facility. More information on these designations can be found here. 3. 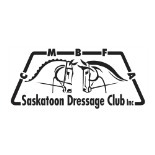 The Saskatoon Dressage Club can only confirm the status of the facility leading up to our show. After this show, we recommend that riders/owners confirm with any facility what that facility’s designation/status is. This entry was posted on May 10, 2017 by KRaven in News, Uncategorized.